The Brother Moves On have a had a tough time after founder Nkululeko Mthembu passed away last month. Despite this, they released their debut full length album, A New Myth, a compelling concoction of trippy African folk. Anyone who has seen The Brother Moves On will agree that the real beauty lies in their theatrical live performances which force you to reassess everything you think you know about presenting music to an audience. 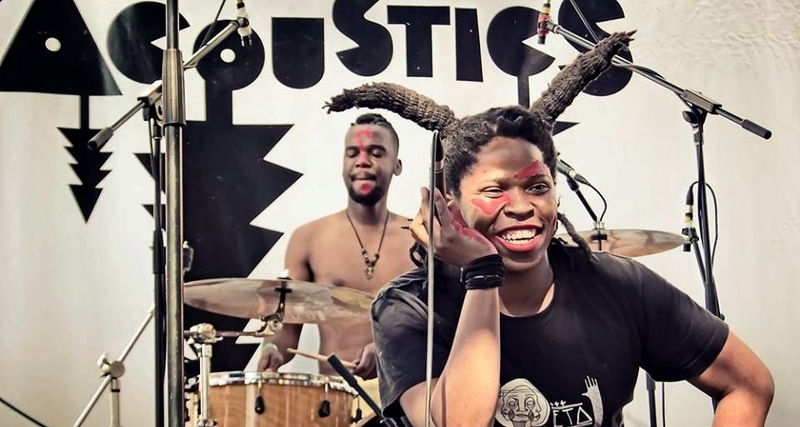 The band describes it best in an interview with Okay Africa, where they talk about the place they think The Brother Moves On occupies in South African music culture. "Our style changes with the individual characters that we play with, with the influx and movement of people coming in and coming out; and we love that.It’s a weird thing because that’s what the country’s about. We’ve always played the diversity card, however we haven’t in our culture fully accepted diversity. And that’s the big thing we do, we kind of open that up a lot. The character of this collective is based on individuals who all have their influences. The theatrical side is me standing for the fact that I won’t simply play in a band. I want to do something that engages; I want to do something different. So there is that space to bring what you are, wherever you’re from and we all agree to what each other wants to do." 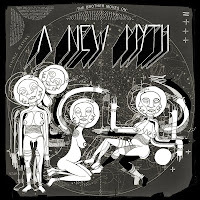 Listen to A New Myth below. It is also available to download on Bandcamp.